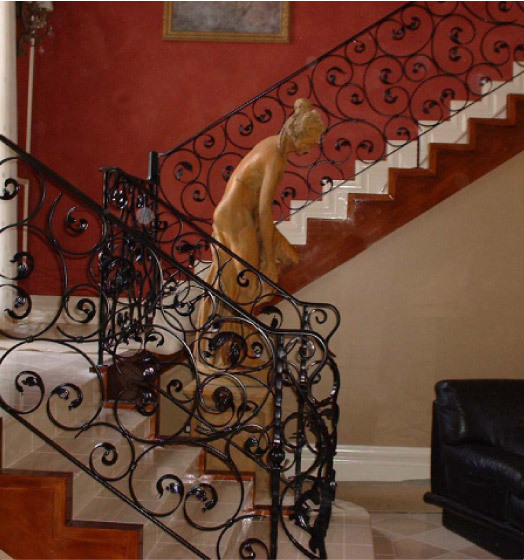 We manufacture and supply hand forged and machined Wrought Iron Articles, including balustrades, gates and fences. We also restore old hand made wrought iron to its original state. Our Wrought Iron products can be hot dip galvanized and powder coated to suit individual requirements. We have many designs on display at our Wetherill Park premises, please contact us to arrange a visit. We design and manufacture security and decorative wrought iron fences and gates and balustrades for homes and business's around Sydney, Including Western Sydney, The North Shore, Inner City, and South Sydney.